Billed as a perennial millennial who does cabaret like you’ve never seen it before, Louisa Wall’s DIY approach to theatre and comedy is paying off, with a second solo show at the 2018 Melbourne International Comedy Festival. I spot Louisa Wall walking down Melbourne’s Southbank Boulevard, hands in the pockets of her bomber jacket, red Rapunzel hair. She comes into Script, the café in which we’ve agreed to meet and where she works part-time as a barista. 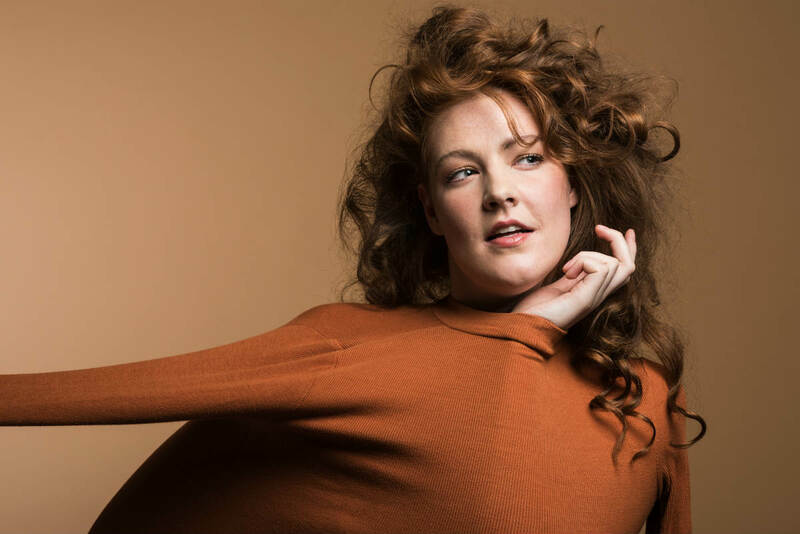 The theatre-maker and musical comedian will be presenting her second solo show, It’s Not Me, It’s Lou, from 28 March at the Malthouse Theatre as part of the 2018 Melbourne International Comedy Festival. The flyer points out the show will feature “eight original songs based on eight real-life Facebook statuses”, and describes Wall as a “perennial millennial [who] does cabaret like you’ve never seen it before”. Wall developed It’s Not Me, It’s Lou at the Melbourne Cabaret Festival on an emerging cabaret artist scholarship, before performing it at last year’s Melbourne Fringe Festival. The Malthouse run will be the show’s third season. 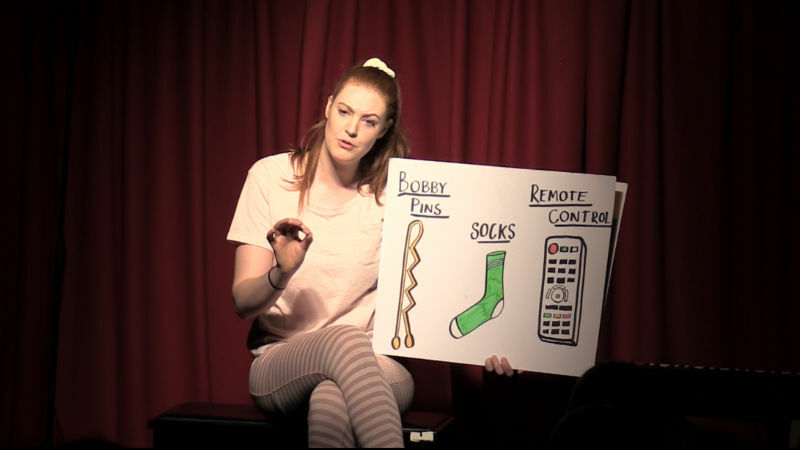 Louisa Wall in a first-season performance of It’s Not Me, It’s Lou, performing a song about “a bisexual bobby pin, a lesbian ankle sock, and a gender fluid remote control”. Image by Tim Phillips. 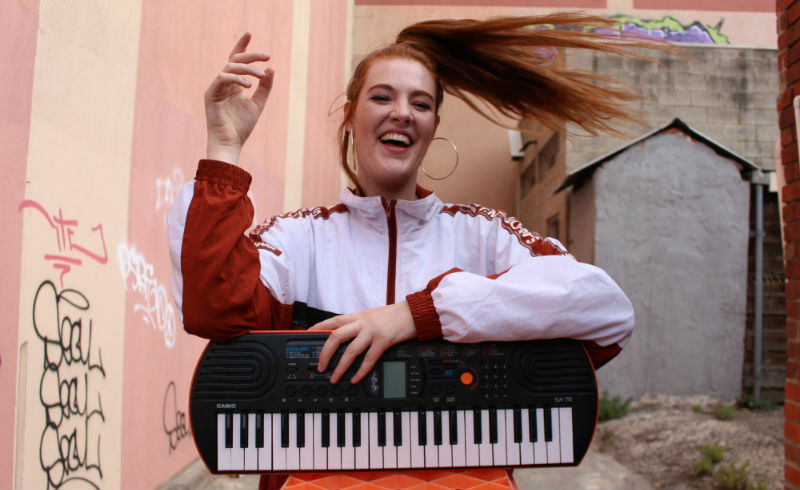 I first met Wall in 2016 when she was a third-year Theatre student at the Victorian College of the Arts developing her first one-woman show, A Dingo Ate My Baby, for the VCA’s 2016 FRISK festival program. Described as “a journey through both the sublime and the mundane,” the show was subsequently picked up by the Malthouse for last year’s Comedy Festival. 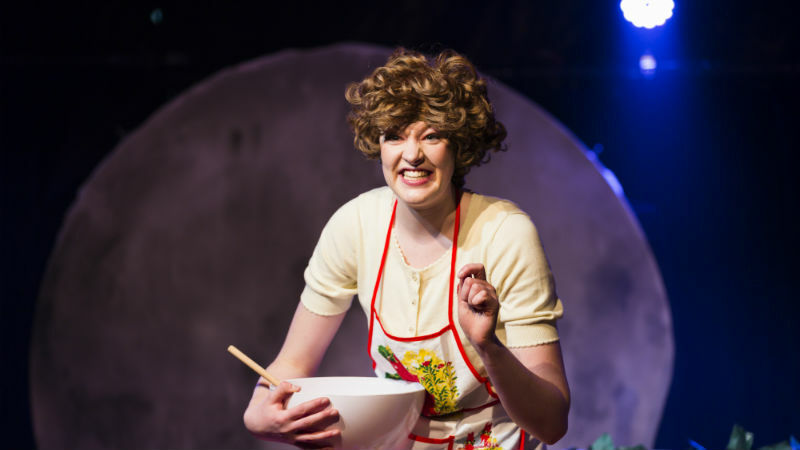 As an actor performing in Melbourne’s independent theatre scene, she’s appeared in everything from versions of Greek tragedy reimagined with beach balls to Shakespeare-inspired queer musical comedy rom-coms (Romeo Is Not The Only Fruit is also part of this year’s Comedy Festival). Louisa Wall in A Dingo Ate My Baby, presented as part of FRISK 2016. Image by Drew Echberg. Perhaps surprisingly, Wall’s love of acting and comedy didn’t start in early childhood with school plays. As the daughter of two musicians (one professional) she’d always been around the creative arts, but – at six foot four – a career in basketball seemed to beckon. All this changed when she saw rural-born, goat-shearing Emo Parsonson doing stand-up comedy in her native Cooma. “I was in Year 12 at the time,” she remembers. “He did a show and then ran a workshop which I really loved, and I thought, ‘I think I can do this’. And then I just started doing comedy and then applied for acting courses and was lucky enough to get into VCA”. Despite Wall’s ostensible successes – theatre performances, festival seasons, award nominations, favourable reviews – I get the sense it hasn’t all been smooth sailing. Is there anything she wishes she’d known before entering the theatre industry? Louisa Wall. Image by Evangeline Dowling. The DIY approach serves Wall well. After the Malthouse run, and a well-earned break, she’ll return to working on another new show, Lou Wall’s Drag Race. I wonder if she has a sense of where, in time, her career might take her? That said, she’s in no rush to up sticks permanently any time soon. “Really, I just want to make art I am passionate about and see where that takes me,” she says. “I’d love to work really hard at getting into the comedy scene in Australia because I think we need more female voices. Banner image: Louisa Wall. Image by Lachlan Woods Photography, 2017.